« Club Penguin – Happy Halloween 2012! Club Penguin – Operation: Blackout! Hey guys! Remember when a while ago we talked about a new Club Penguin operation coming soon? The last one was back in September 2011 when we captured Herbert and locked him in to make sure he doesn’t escape. Operation: Blackout is an Elite Penguin Force mission operation that will occur from November 15, 2012, to December 4, 2012. It was confirmed on Herbert’s , Polo Field‘s and Billybob‘s Twitter accounts. Polo Field also blogged about the team making sounds for November. This will be the first time Herbert makes an appearance as a mascot. 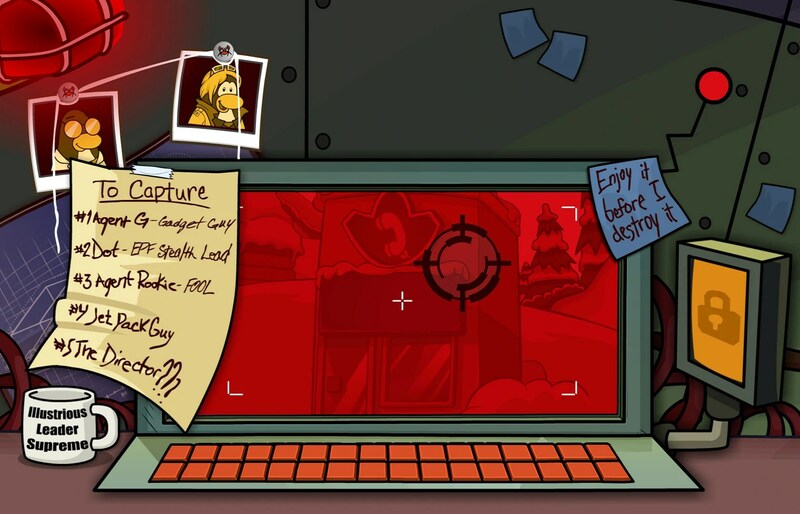 Herbert‘s plans are to capture all the top EPF agents (including G,Dot, Jet Pack Guy, Rookie and the The Director, but not PH) and blacken the sun using a high frequency infrared reversion laser in his fortress, as well as destroy the Everyday Phoning Facility, thus destroying the EPF Command Room itself. Once done, Herbert will destroy the rest of the island using the sun’s energy as a weapon, and EPF agents will have to break into his fortress and stop him. As Herbert blackens the sun, the island will be cold and will be experiencing a snow storm. Billybob proved in his appearance on the Server Cloudy that Herbert will be meetable during Operation: Blackout. Dot may be one of the characters because she made an appearance in the Yearbook 2011-2012, and had her own signature. Herbert is planning to capture multiple EPF agents, though it seems like he does not want to capture Agent PH. If you visit clubherbert.com it will show you Herbert’s plans. Herbert might freeze the EPF agents he captures to get revenge on the agents for freezing him because in the photo on clubherbert.com it looks like Gary is frozen in the tube. This entry was posted on November 5, 2012 at 6:09 am and is filed under Cheats, Exclusives, News, Other Stuff, Parties, Secrets. You can subscribe via RSS 2.0 feed to this post's comments. You can comment below, or link to this permanent URL from your own site.